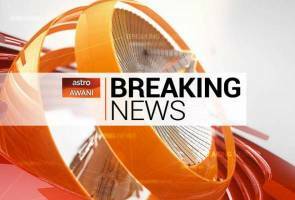 KUALA LUMPUR: Sources were quoted as saying that a chartered private jet originating from Indonesia is scheduled to land at Subang Skypark Airport in Petaling Jaya, Selangor. The sources have stated that passenger manifest has shown that passengers are the former leader of Malaysia along with his wife. The aircraft is expected to land at 0600 hours on May 12 (Malaysian time) in Subang and scheduled to depart for Halim Perdanakusuma Airport in Indonesia at 10am on the same day. Astro AWANI is monitoring this development closely.